Cross Country running and Indoor Track are two of 5 varsity sports currently offered at Grande Prairie Regional College. The Wolves compete provincially in the Alberta Colleges Athletics Conference, and nationally in the Canadian Colleges Athletics Association. Any academically eligible full time GPRC student is able to compete for the Wolves. The cross country running season starts in late August and runs to mid November. The Wolves also offer an indoor track program from mid November to March. Each year the ACAC hosts the Alberta Colleges Indoor Championship in March which includes the long sprints and middle distances (400m-3000m and the 4 x 400m relay). For the past 27 years, the histories of the Wapiti Striders/GPRC Wolves Athletics Clubs and the GPRC Wolves Varsity Cross Country Running Team have been closely related. Most track club members have also been part of the GPRC team at one time or another and coaches Bill Corcoran and Rick Scott have also performed double duty. GPRC has had a cross country running team since its establishment in 1966. The pre-1990 history has not been well documented, but we do know that GPRC did not have an ACAC individual or team champion in this era. Terry Smith was very close to being the Wolves first-ever ACAC champion, losing out in a sprint finish to RDC’s Rod Palm in 1988. In the fall of 1990, Glen Chilton became the head coach of Wolves Cross Country and the program started on an upward trajectory. Current coach Bill Corcoran joined as an assistant coach in 1991. When Chilton left in 1992, Corcoran assumed the head coaching role and Rick Scott joined on as an assistant. In 1996, Corcoran and Scott agreed to become co-head coaches, an arrangement that continues to this day. Chilton’s legacy was to increase participation. 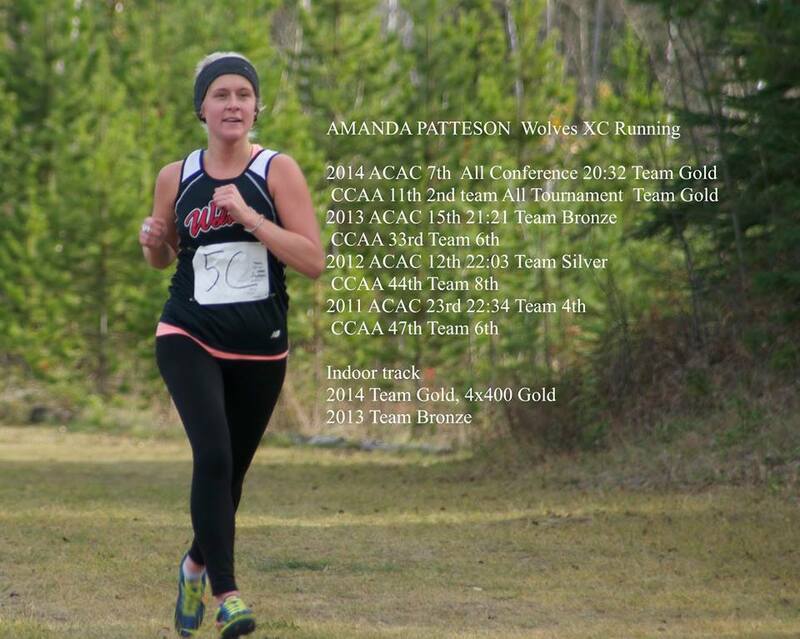 In his first year, one female athlete and five male athletes represented GPRC in x-country. By the time he left in 1992, GPRC was able to field a full teams of both six men and six women. Since then the team size has been as high as 25 women and 15 men in a single year. And as the numbers of athletes increased, the talent also improved. ACAC medals were sparse in the early 90s. Keri Matson was the individual womens bronze medalist in 1991. The 1993 Womens Team achieved the team Bronze, which might have the College’s first-ever ACAC team medal. The middle and late 90s were much improved. Andre Frenette struck individual ACAC Bronze in both 1996 and 1997. Frenette was also a part of GPRC’s first mens team to finish on the the podium. The 1997 Men placed third at ACAC’s hosted on their home course at Wapiti Nordic. The 1998 Men, led by Fred Setterington’s individual silver medal finish, ended up in a 3 way tie for the team championship, but were placed second on the tie breaker. The 1999 ACAC Championship was the high point (at least to date) for the Wolves. 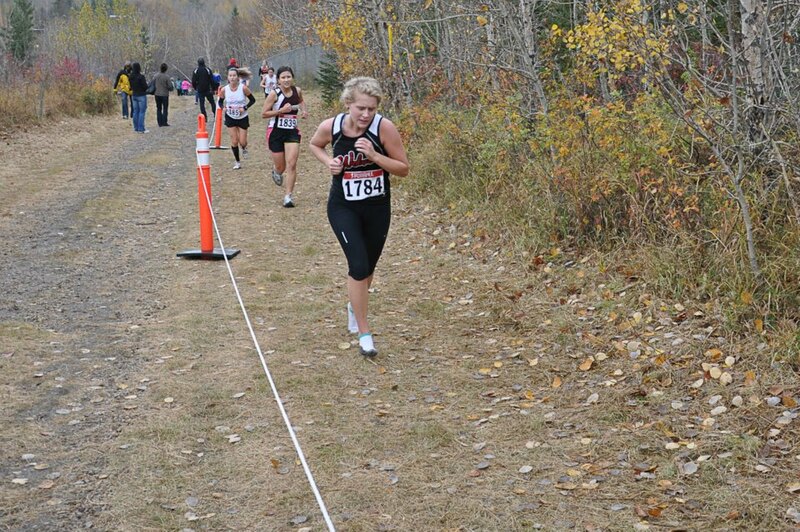 Tara Lee Stillwell became GPRC’s first individual womens ACAC Champion. Minutes later Fred Setterington duplicated Stillwell’s feat, winning the mens race. Steph Ruch also hit the podium with a bronze in the womens race. The 1999 Womens team struck silver in the team competition. In the year 2000, the Wolves were shut out of the ACAC podium, but they returned a year later when the 2001 Women captured the bronze medal. 2001 was also the final year of the Interprovincial Championships, a challenge race between Alberta and BC Colleges held in early November. 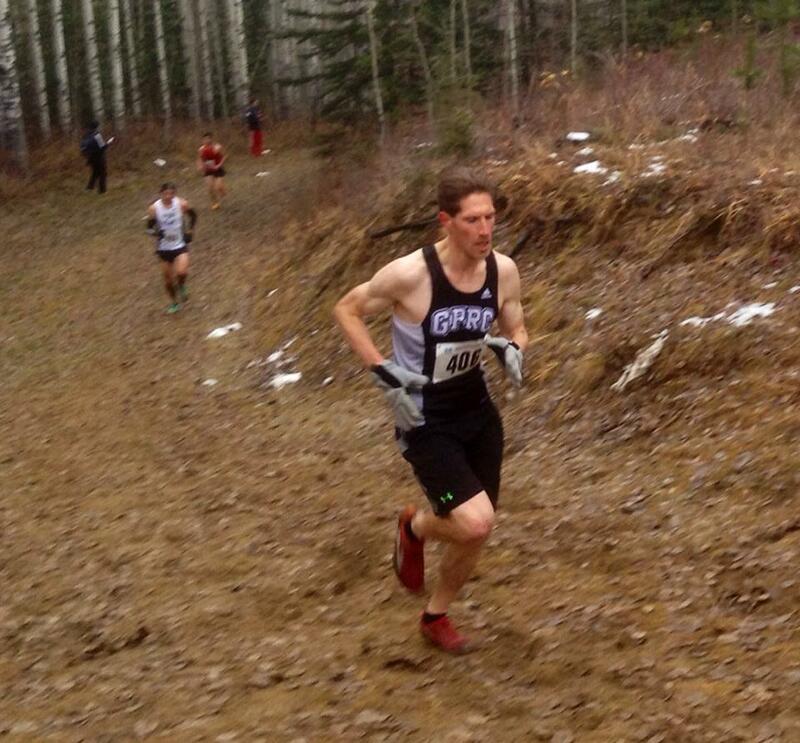 GPRC’s Ryan Hicks was the last mens individual champion, winning the race held at Red Deer College. 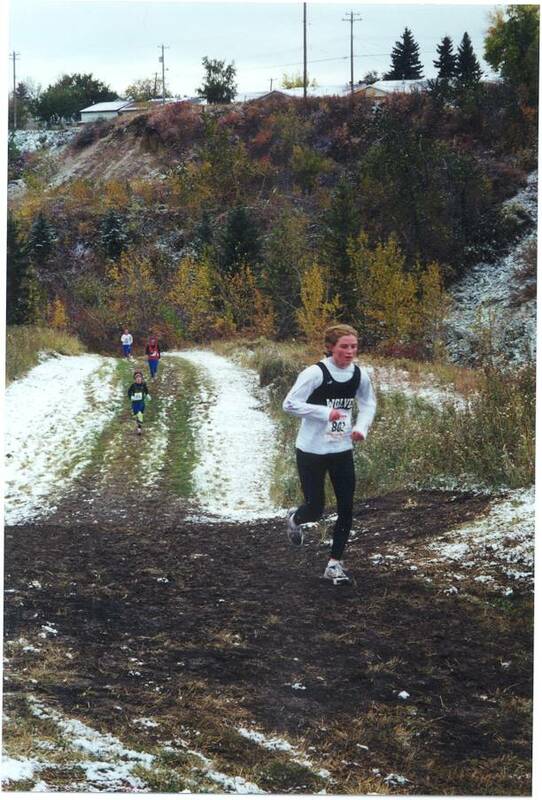 Other Wolves runners scoring notable performances in Interprovincials over the years included Fred Setterington (winning in 1998 and 1999) and Lori Ann Winia (silver in 1995.) In 2002, Interprovincials was replaced by the CCAA Open Cross Country Running Championship. 2002 was another great year for the Wolves, particularly the 2002 Womens Team. Led by Jessica Schmidt’s individual silver, the women placed four in the top 12 to easily win the ACAC team championship, the first-ever team title for GPRC in x-country. Two weeks later, the feat was duplicated when Schmidt again finished second and the team won the inaugural CCAA Open Championship. The CCAA Gold was only the second-ever national championship gold medal won by a Wolves team in any sport. While the 2003 Women were unable to duplicate the feat of 2002, they finished a close 4th at both the ACAC and CCAA Championships. The 2003 Men, however, were back on the podium for the first time since 1998, with a bronze in the ACAC team competition. The women were back to their winning ways a year later when the 2004 Women again captured the ACAC Championship. Penny Thompson led the way with an individual bronze medal. Not to be out done, the 2004 Men captured a team bronze. Kyle Reynolds also managed an ACAC individual bronze. Co-coaches Bill Corcoran and Rick Scott were named 2004 ACAC Coach of the Year. Two weeks later at the 2004 CCAA Championships, Reynolds scored a huge upset when he outleaned Augustana’s Carl Skinstead to become the CCAA National Champion. The GPRC women weren’t able to duplicate 2002, falling a bit short and placing second in the team competition. 2005 and 2006 were also good years for Wolves Cross Country. The 2005 Women placed second at ACACs and third at CCAAs. The 2005 men were third at ACACs. Despite placing 6 runners in the top 12, the 2006 Men fell just short of the top rung at ACACs, placing second. The 2006 Women were third at ACACs. Both teams ended up 5th at the 2006 CCAA Championships. The Wolves were shut out of both the individual and team podiums in 2008 and 2009 at both the ACAC and CCAA Championships. However, the Wolves were proud to host the 2008 ACAC Championships on the same course as the 2007 CCAA Nationals. From a team perspective, 2010 was again a lean year for the Wolves, but a talented individual runner, Fiona Benson, made it a year to remember. Like Reynolds in 2004, Benson went into the CCAA Nationals as an under dog, finishing second to Red Deer’s Jodi Sanguin at the ACAC Championships in late October. 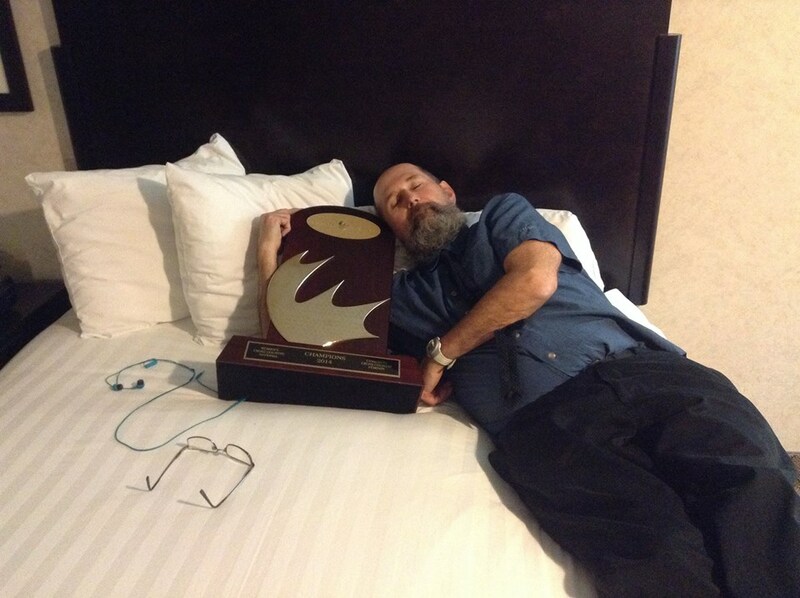 However, two weeks later in Fredriction, NB, Benson turned the tables outleaning Sanguin for the win and the national college championship. Benson then continued her season with a 7th place finish at the National Junior Championships on November 27, a result that qualified her for the National Junior Team. 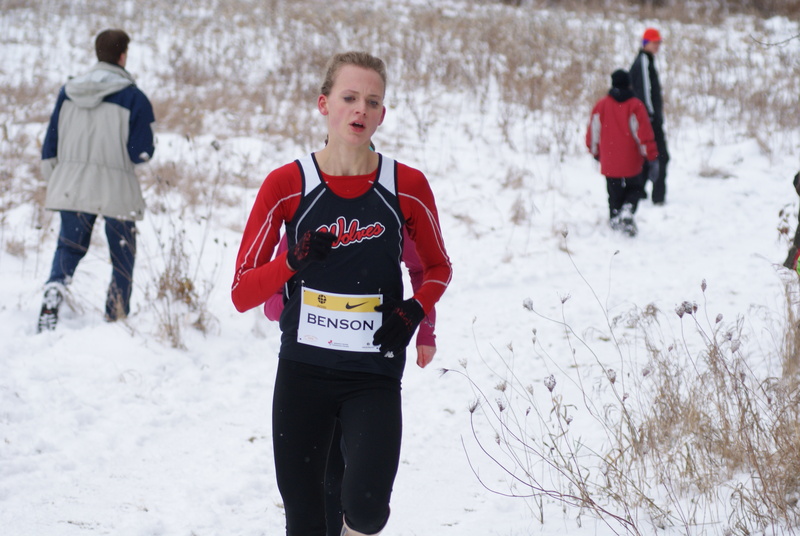 Running for Team Canada, Benson won the individual silver medal at the NACAC Junior X-C Championships in Trinidad in February 2011 and placed 64th at the World Junior X-C Championships in March 2011. Devin Woodland ended a seven-year individual podium drought for the Wolves men in 2011 by capturing the bronze medal at the ACAC Championships. Also in 2011, the Wolves women narrowly missed the podium, placing 4th at the ACAC Championships. However, they rebounded nicely two weeks later placing 6th overall, and 3rd amongst the Alberta teams, at CCAA meet in Kamloops. Buoyed by Jamie Wigmore’s 4th place finish, the 2012 womens team struck silver at the ACAC Championships to the national champion Grant MacEwan team. The Wolves women ended up 8th at Nationals in Montreal. The 2013 Wolves had a successful season producing three ACAC All Conference runners. Hayden Hollowell (5th) and Riley Wallace (7th) made the cut on the men’s side, while Jamie Wigmore (silver) was women’s ACAC All Conference. 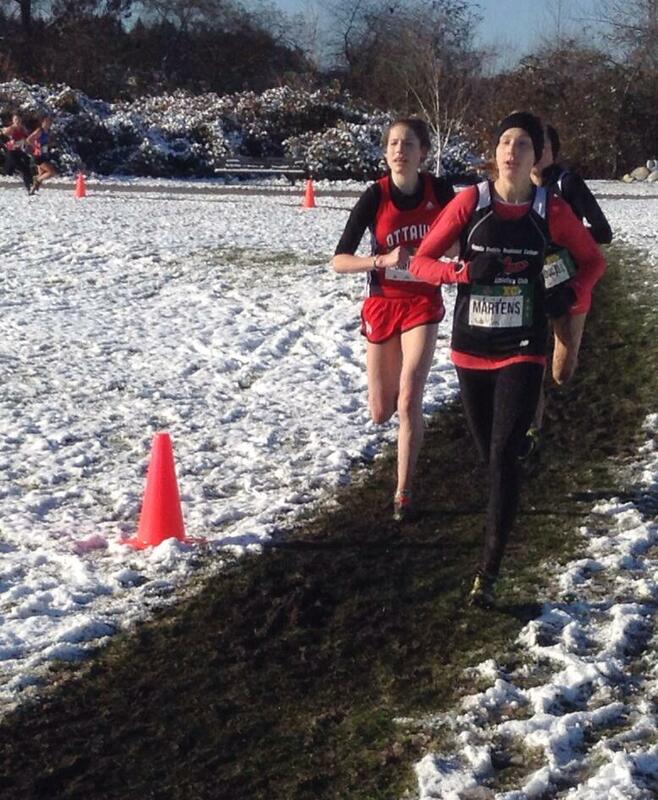 Wigmore continued to excel, finishing 5th at CCAA Nationals in Toronto. She was also named a CCAA All Canadian and CCAA tournament All Star. 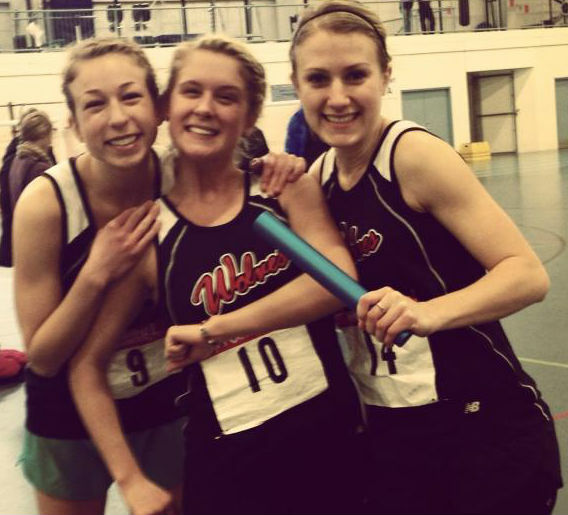 Teamwise, the Wolves women won the bronze medal at ACACs and finished 6th at Nationals. The men ended up 4th at ACACs and 14th at Nationals. Indoor Track and Field was officially introduced to the ACAC in the winter of 2014, and the Wolves had an immediate impact, winning 4 individual gold medals. Jamie Wigmore accounted for 3 of them (400, 800, and 1500) and Hayden Hollowell topped the field in the men’s 1500m. In the team standings, the Wolves women were third, while the men were 4th. Also, at the 2014 Festival of Gold Athletic Awards Banquet, both Wigmore and Hollowell were honored as GPRC Athletes of the Year. The 2014-15 Women’s team was truly a once-in-a-generation collection of talent. The magnificant six of Mirelle Martens, Jamie Wigmore, Jackie Benning, Amanda Patteson, and the Manz sisters – Kirsten and Karina, (plus Emily Whalen and Tamica Campbell) had the greatest season in the history of GPRC Wolves athletics in any sport and in any year. Notably, this collection of ladies all grew up in Grande Prairie and 4 of the 6 did not start running competitively until they started college. Team Gold in the CCAA XC Championships placing 4 runners in the top 11 and setting the all-time record for best team score in a women’s college Nationals. Team Gold at the ACAC Indoor Track Championships – winning 5 of 6 races and adding a two more silvers and a bronze. Mirelle Martens won the individual ACAC XC Gold, the individual CCAA XC Gold, the bronze in the Athletics Canada U20 XC championships, and 2 Gold Medals at the ACAC Indoor Track Championships. Martens also represented Canada three times in 2014-15 at the Pan Am XC Championships, the World XC Championships, and the Pan Am Junior Track Championships where she won the silver medal in the 3000m. Martens also started for the Wolves women’s soccer team which won ACAC Bronze. In April 2015, she was named GPRC Female Athlete of the Year. Jamie Wigmore won her second consecutive individual ACAC XC silver, placed 4th at the CCAA XC Championships, and was named ACAC Indoor Track athlete of the year for winning three gold medals and a bronze at the ACAC Indoor Championships. Jackie Benning was named an ACAC XC All Conference runner for placing 6th in the championships and a CCAA XC Second Team All Star for placing 8th at Nationals. 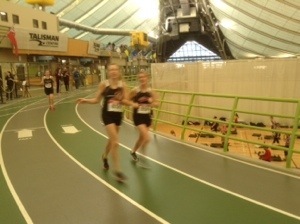 Jackie also won a pair of silver medals at the ACAC Indoor Championships and shared the team gold in the 4 x 400m. The 2015-16 Wolves had a tough act to follow. With Martens transferring to Trinity Western University and Benning and Patteson graduating, the rebuild was on. Jamie Wigmore, however, returned for a final XC season and was looking to finally crack the top 3 at CCAA Nationals. Wigmore had an outstanding early XC season winning a number of ACAC Grand Prix races. At the ACAC XC Championships in Lethbridge, she crushed the field by over 30 seconds winning her first individual ACAC crown. At CCAA XC nationals two weeks later in Brockville, ON, she battled Quebec’s Jessy Lacourse all the way until the final metres of the 5 km race, but fell 10 seconds short of the gold and finished second. In April 2016, Wigmore was named the GPRC Female Athlete of the Year for the second time in three years. 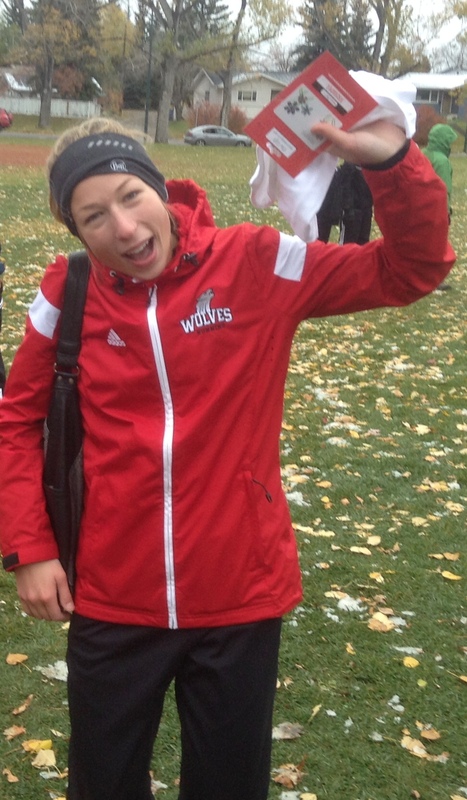 With four ACAC All Conference and three CCAA All Canadian honours, she graduated from GPRC as the most accomplished runner in Wolves history. After 2014 and 2015, the Wolves XC and Indoor Track program declined slightly from its lofty heights. The 2016 women managed a 10th place finish at the CCAA XC Championships in Sault Ste Marie while the 2017 women placed 13th place at the CCAA meet in Montreal. 2017 also saw the return of Kyle Reynolds to the GPRC men, 13 years after his CCAA gold medal winning performance in 2004.
primarily the women’s team, one significant male runner also made an impact at the provincial level. Brandon Wladyko took up competitive running as a 28 year old rookie in 2014 and quickly developed into one of the best college XC runners in the province. For three straight years (2015, 2016, and 2017) he achieved ACAC All Conference honours and finished 20th at the 2017 CCAA XC Nationals in Montreal. Wladyko was also named 2016-17 GPRC Valedictorian and 2017-18 GPRC Male Athlete of the Year.